Perfect low maintenance mountain getaway! Located in the Grand Elk golfing community and just a short walk to the clubhouse. This 3 bedroom, 4 bathroom home has a main floor master and two additional bedrooms on the upper level including a second master. The loft area can be used as an additional sleeping area. Lots of South & West facing windows make the living area light and bright. 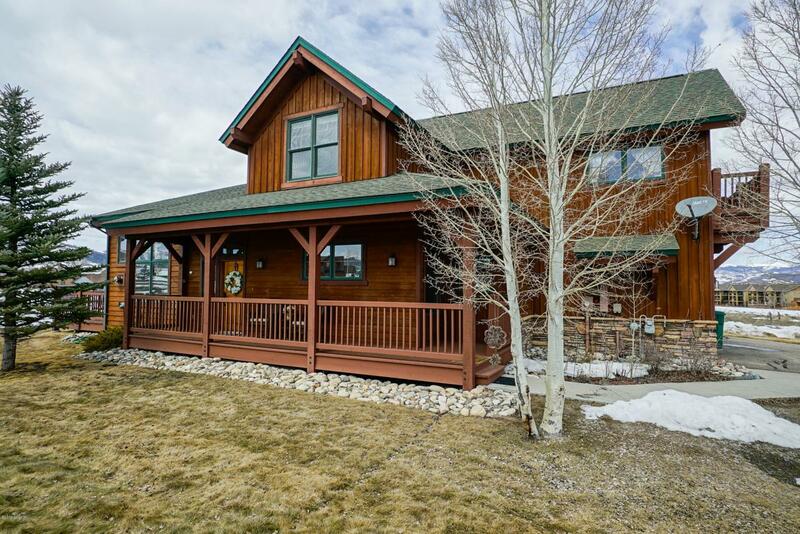 The covered front porch is perfect for morning coffee and views of Granby Ranch while the spacious back deck features views of Byers Peak and the Western range. Featuring vaulted ceilings with wood beam accents, solid hardwood flooring, gas fireplace, granite counter tops, stainless steel appliances including gas range and abundant cupboard space.A single car garage with an extra storage nook provides plenty of room for parking and all your sports equipment. The HOA includes free golf for the entire family and use of the members only pool and hot tub as well as exterior maintenance and landscaping. Centrally located, only 5 minutes to Granby Ranch, 20 minutes to Winter Park and a short drive to the nearby lakes.